Oregon Made Plastic Products | Exceeding customer expectations with unique solutions. At OMPP we know and love the Northwest and want to help keep Plastic Injection Molding strong. We offer in house or your house training to other molders. Let us know what your needs are and we can tailor and course to meet those needs. 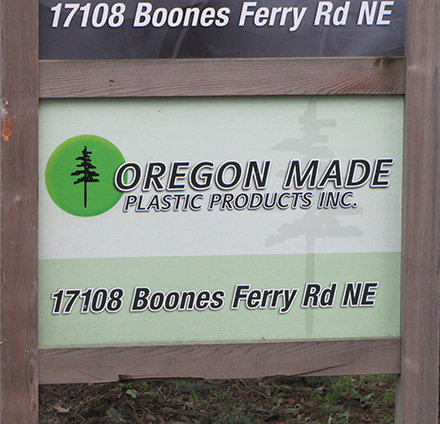 Oregon Made Plastics Products is a product development company and all of our products are manufactured in the USA. Our products are designed to exceed the customers expectations and provide a unique solution to everyday needs. Oregon Made Plastic Products will remain globally competitive due to our low overhead cost, use of automation, and lean manufacturing principles. Oregon Made Plastic Products strives to lessen our impact on the environment with a dedicated approach to utilizing post consumer and renewable feedstocks, while maintaining a high standard for quality.